Fans of electropop and RnB get ready for the show of a lifetime!! 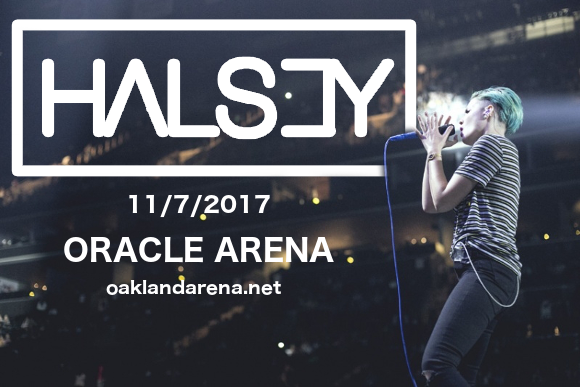 That’s right, its Halsey, with PartyNextDoor & Charli XCX, coming to the Oracle Arena on Tuesday 7th November 2017 for a night of unforgettable entertainment! Get your tickets today to ensure you don't miss out – hit the “Buy Tickets,” button above. New Jersey-born Halsey is a young electropop artist and one of the sharpest new singers on the mainstream pop scene. In 2014, she signed with a major label and released her EP, “Room 93”, before going on tour with major acts including The Kooks and Imagine Dragons. She went on to release the immensely popular fullength studio album “Badlands”. Party Next Door or PND is the stage name of Canadian-born rapper Jahron Anthony Brathwaite. Initially gathering attention via the popular music promotion website "BrandNewHipHopRnB" (later to become “TheFutureOfRnB.com,” he signed a publishing deal with Warner/Chapell aged 18. His debut album, the self-titled “PartyNextDoor,” was a huge hit with both audiences and critics. He then went on to collaborate with major artists including g Drake, Big Sean and Jeremih!! Opening act Charlotte Emma Aitchison, best known by her stage name Charli XCX, started out performing at warehouse raves in and around London. Signed to Asylum Records in 2010, She released her first full-length debut, “True Romance,” in 2013, and gained prominence with her appearances on two massive singles: Icona Pop's "I Love It" and Iggy Azalea's “Fancy”. Are you ready to see these three incredible artists live?? Book your tickets NOW!